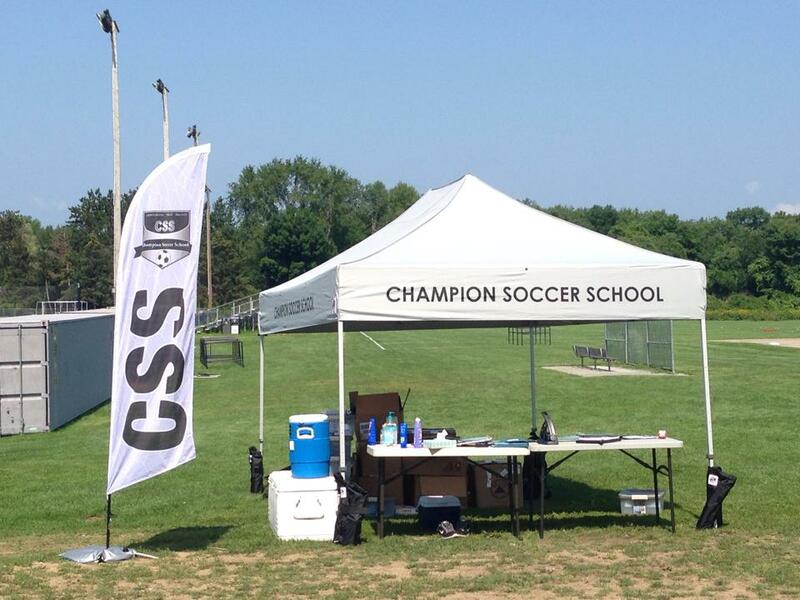 Champion offers training for high school players through a mix of evening clinics and day camps. Players can mix and match our programming with a variety of pricing options OR they can take advantage of the progression of training we offer throughout the summer to fully prepare for the rigors of a full high school soccer season ($400 for all training below–8+ evening clinics and 2 weeks of day camp). Our training progression begins with building a solid base of technical skills and conditioning, peaks the second and third weeks in August, and then tapers back down to get player’s bodies feeling fit and fresh for tryouts in late August. We will host three (boys only) “Scrimmaging Nights”: one in Belmont, one in Wayland, and one in Brookline. Each night will be from 6:00-8:30 and will link three quality high school programs in the area. Elite Development Camp: Our CSS Elite Development Camp enhances three core components of a player’s repertoire: technical, physical, and psychological. We start the day with 60 minutes of injury prevention work and intense conditioning to build strength, agility, speed, and endurance. We follow with a 90-minute SHARP block combining high intensity, skill enhancement, and decision making. Small-sided games later in the morning and afternoon help further build skills and fitness while working on decision making. Players are filmed and partake in at least one film session a week to gain better perspective of what they’re doing well and to notice areas of improvement. Elite Scrimmaging Camp (Team Camp): The week following the Elite Development Camp, the Elite Scrimmaging Camp provides ample scrimmaging and fitness work to round you into top form and peak conditioning before preseason. The Belmont and Wayland boy’s varsity coaches run a program that prepares players for the rigors of high school soccer. The first 60 minutes of each morning is dedicated to injury prevention, speed, agility, endurance, and strength work. Late mornings and afternoons are reserved for small- and large-sided scrimmaging. Like our Elite Development camp, we film players and host video sessions each day to help enhance their tactical game. Along with an evaluation, players also receive a one on one meeting with a coach. For our Elite Programs, our lead coaches have high school coaching experience and/or college playing experience from Brandeis, Bentley, Tufts, Northeastern, and Wesleyan to name a few. We often get upwards of 90 players participating, with multiple towns sending “teams” to train together (historically including Wayland, Belmont, and Waltham). Many individual players enroll as well. Fitness to get into peak condition. Video Clips of camp action! NFHS-approved Select Ball Issued on the first day of your first day camp (one per year) Any camper who signs up for a day camp. All programs are co-ed for players entering grades 9-12; see Schedule & Pricing information for details about location and dates. We will try to make-up any sessions missed due to weather. We will post any cancellations on our news and updates and Facebook page for weather-related cancellations (you do not need a Facebook account to see this post). You can assume the session is on unless we post otherwise. Day camps are very rarely cancelled as we typically have some gym space for day camps in the event of lightning. Evening clinics are sometimes cancelled due to late afternoon summer lightning storms.